After the disappearance of her beloved knish shop, Laura Silver, a journalist and native New Yorker, goes in search of the roots of the humble pastry and her own family, which turn out to be more intertwined than she expected. 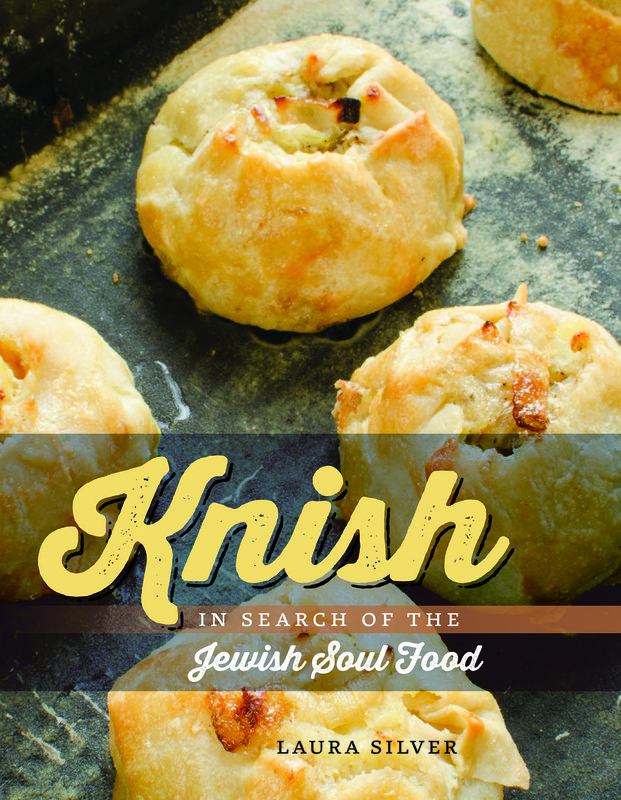 KNISH: In Search of the Jewish Soul Food is the chronicle of a seven-year, three-continent quest. With good humor and a hunger for history, Silver mines knish lore for stories of entrepreneurship, survival, and major deliciousness. Along the way, she meets Minnesota seniors who make knishes for weekly fundraisers, foodies determined to revive the legacy of Mrs. Stahl, and even the granddaughters of the legendary knish maker, who share their joie de vivre—and their family recipe. In a series of funny, moving, and touching episodes, Silver takes us on a knish-eye tour of worlds past and present, thus laying the foundation for a global knish renaissance. Saturday Night Live, the Daily Show with John Stuart and the Associated Press each spotlighted potato pie during the knish crisis of 2013, following a fire at Gabila’s Long Island factory. Al Jazeera’s America Tonight featured Laura Silver as the pre-eminent expert on the subject. KNISH details the pastry’s four hundred years of culinary and cultural history and showcases the edible pie as a long-standing conduit for coexistence and conversation. Silver has developed a timeline of knish history and is ready to share regional knish stories, from Manhattan to Minnesota, and from Montreal to San Francisco’s Mission District. Laura Silver, the world’s leading knish expert, is an award-winning journalist whose writing on food and culture has appeared in the New York Times and the Forward and on NPR. Laura has been a writer in residence at the Millay Colony, the Banff Centre, and the New York Public Library. The Workmen’s Circle/Arbeter Ring was founded in 1900 by Jewish immigrants from Eastern Europe who sought to promote values of social and economic justice through a Jewish lens. Over the past century, the organization has undergone significant changes in outlook and program, but has remained passionately committed to the principles of Jewish community, the promotion of an enlightened Jewish culture, and social justice. The Workmen’s Circle is now building a new national network of energetic, engaged Jewish learning communities to join our Signature Shules (schools), Camp Kinder Ring, our retreat and learning center, Circle Lodge, and our MultiCare Center, all connected by a shared passion to celebrate our Jewish cultural heritage and collectively improve the world through social change activism.